What do you do with leftover chicken? In this case, pan fried chicken breast seasoned with salt garlic powder, and pepper. 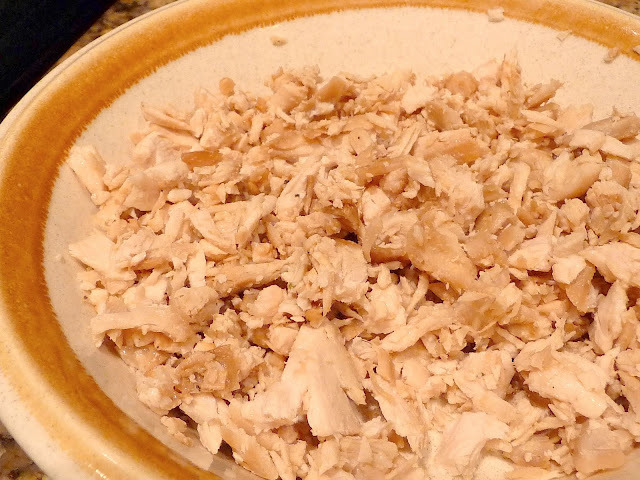 For the past couple of days I've been thinking about what to do with leftover chicken breast that's probably dry by now and lacking in flavor. I don't know about you, but re-heated chicken breast is never the same for me. So I thought of reviving my leftover rather than letting it go to waste. I'm so happy that it turned out so delicious that I devoured the whole thing, and I did not have to do much to perk it up. I hope you like it too. I put the chicken in a food processor to chop it. Heat it up in the microwave. 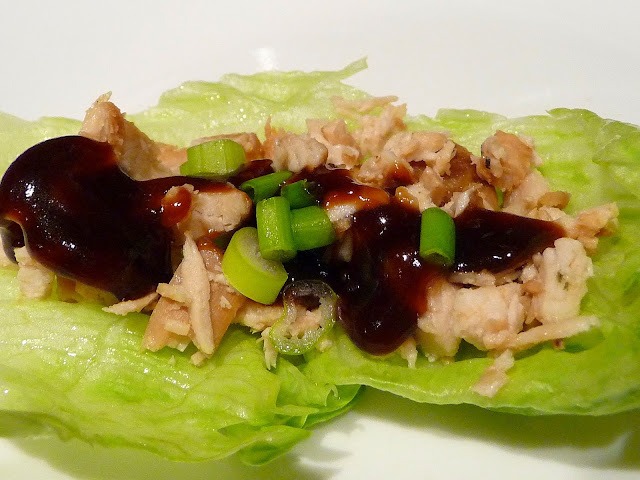 Lay it over iceberg lettuce, then finally top it with hoisin sauce and green onions.